Dirty cloud obscured the rising sun, with just a small distant patch of orange beyond Great Mell Fell and some reflected colour to the west to betray the start of a new day. A cacophony of barking, baying and yelping accompanied the start of my climb above the kennels at Gategill, and I could still hear them some time later from hundreds of feet above. Then suddenly it was silent, the only sounds coming from my exertions up the steep slope of Halls Fell Ridge. The gradient briefly levelled out and before me was a big lump of rock. It was hands rather than pacerpoles from here on. I clambered up over the first rounded outcrop, took a last look down to the valley below, and then started on the scramble up the arête proper. 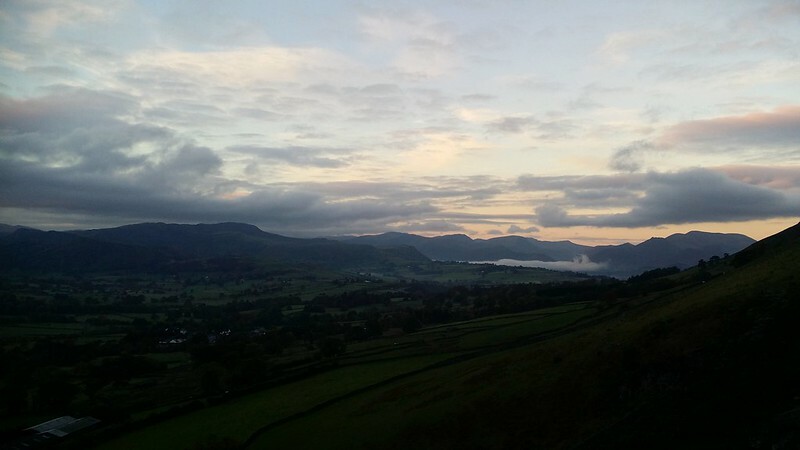 Mist swirled around me, the top of Blencathra buried in cotton wool. My altimeter rather than my eyes confirmed the nearness of the summit, and I emerged from the narrow ridge onto the very top of Blencathra, finding a guy there who’d just come up Sharp Edge. With very little to see, and too cold to stand around for long we exchanged the usual pleasantries and parted. 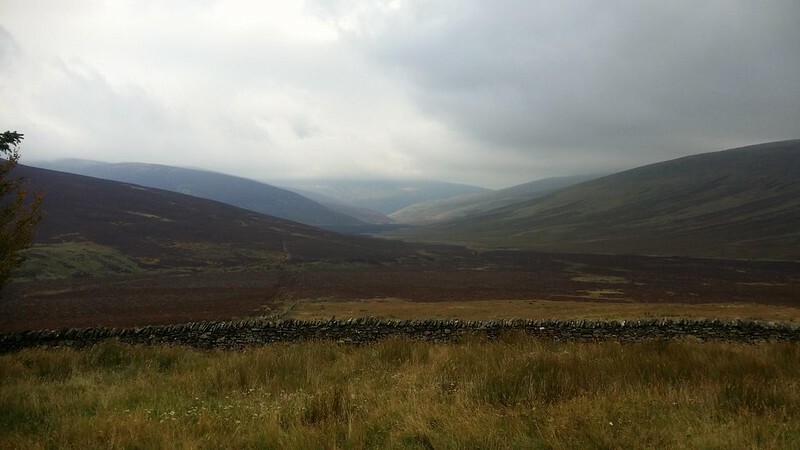 I headed for Atkinson Pike, the walk along the top of the fell reminiscent of the same walk with Cath back in March. We couldn’t see anything then either. 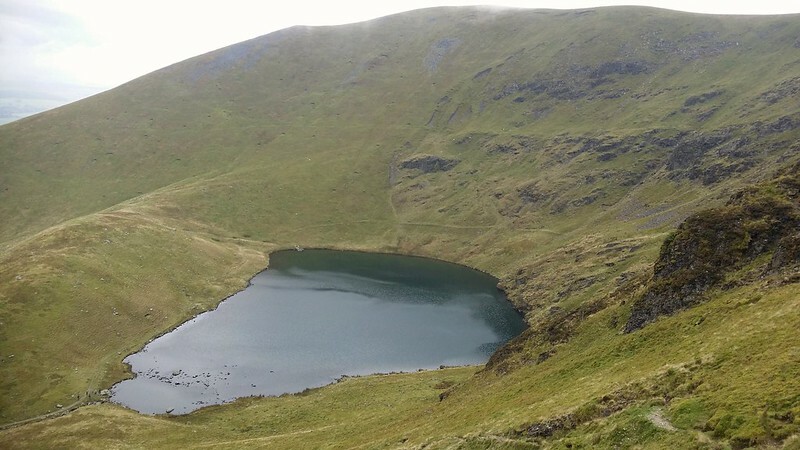 Somehow in my desire to ensure I kept left of the steep drop down Foule Crag I overdid it and gradually did a complete 180° turn, finding myself at the little tarn that nestles between the summits. This did at least alert me to my mistake easily and it was a simple matter to head back north, this time actually looking at my compass. Only a few metres of descent were needed before I found myself below the cloud base, and the remainder of the northern fells opened out in a vast epic swathe beneath me. I paused to take stock of the situation. My inability to sleep had seen me on the first bus out of Penrith and meant I was well ahead of my rough timings for the day. I could do more, or simply take it easy. It felt strange to be making such a decision at 9:30 in the morning. 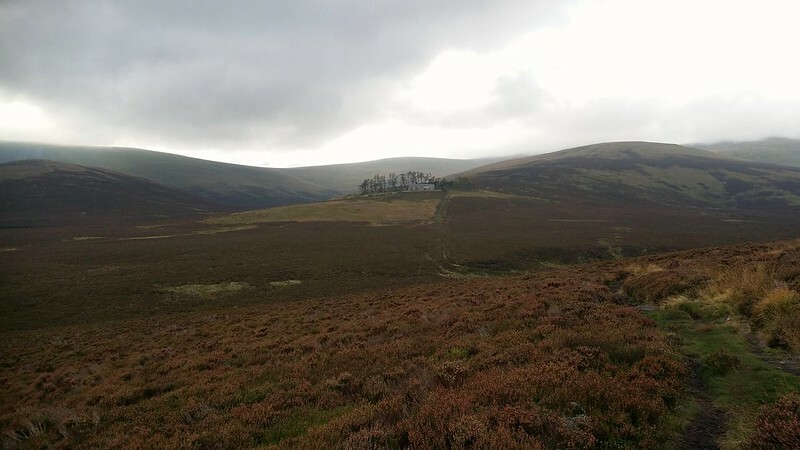 I eventually settled on reversing the rest of my route and doing Mungrisdale Common first, then heading over to Bannerdale Crags and Bowscale Fell. 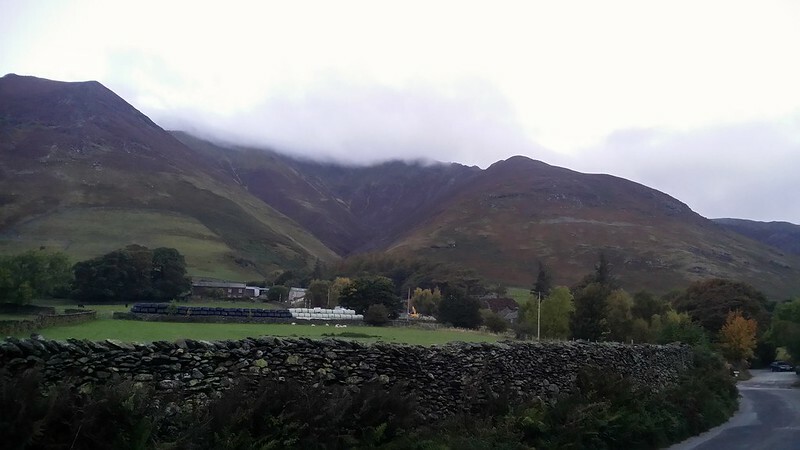 That would allow me to extend the walk over some of the High Pike fells if I felt like it, or to simply go for the hostel along the Cumbria Way. So I dropped down onto Mungy Common and made a beeline for the cairn. Then about turn and a slanting route towards the col with Bannerdale Crags. A lot easier this time – last time a lingering patch of snow of indeterminate depth and solidity and seen Cath send me on ahead to test it out. No such trouble today and I reached the col with only the minor inconvenience of a boggy gouge to cross. The walk up to Bannerdale Crags was a lot harder than I’d bargained for, a nascent cold sending the breath heavy and the heart at full thump. 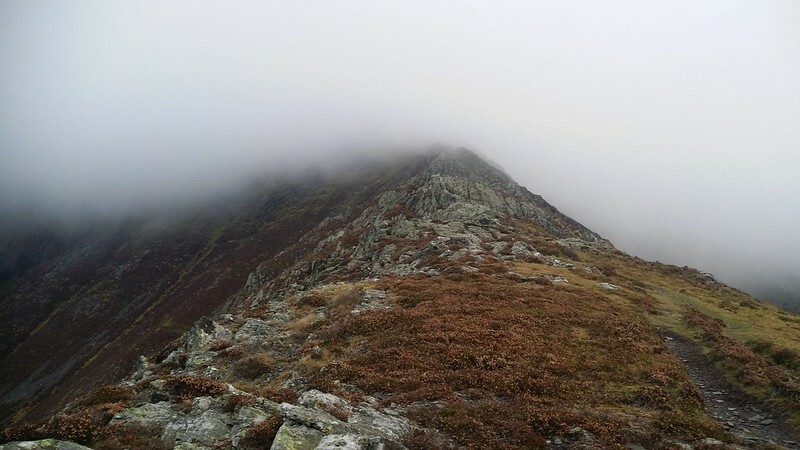 Somehow this hadn’t been a problem on Halls Fell Ridge, either adrenaline compensating nicely, or simply that the scramble had taken it out of me a bit more than expected. 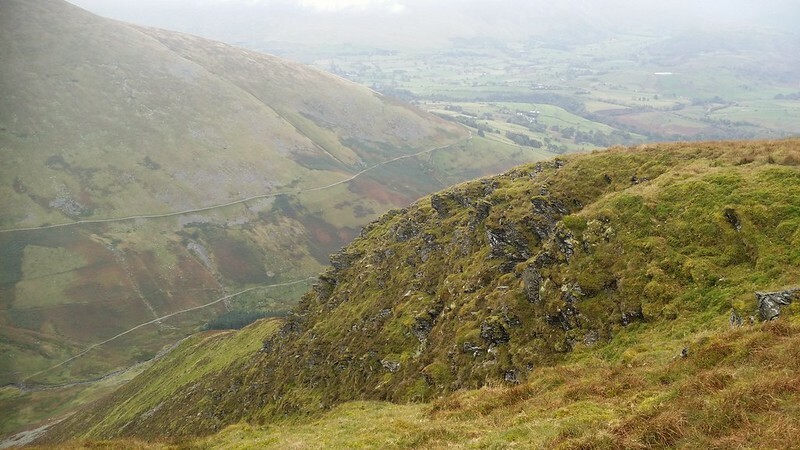 Whatever, I dragged my heels up to the two cairns before turning to head for Bowscale Fell. The summit shelter was occupied by a load of people so I didn’t stop but carried onto Tarn Crags Top, no such problem here. 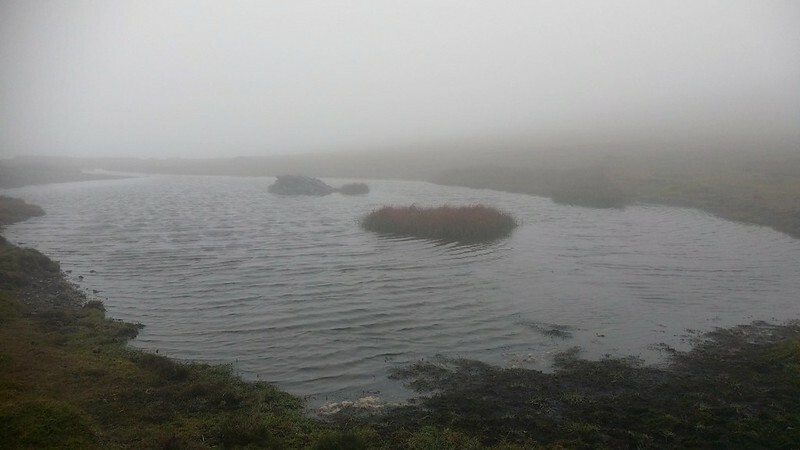 Then I dropped down to the tarn itself and spent a while just taking it in. 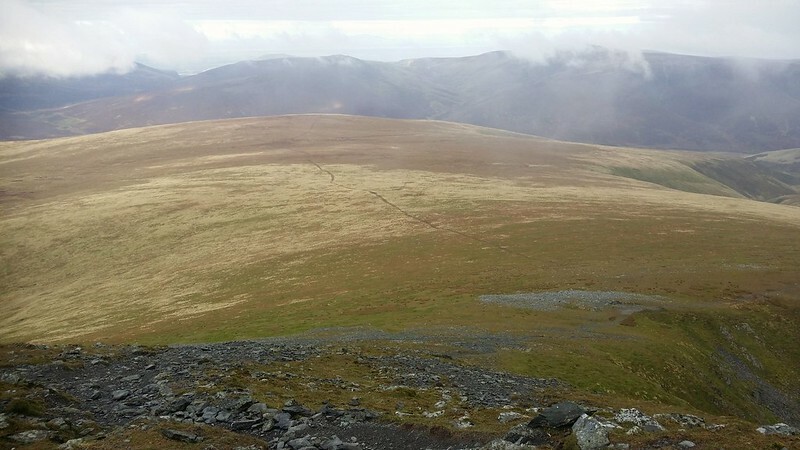 By now I knew my interest in staying high and heading to Skiddaw House over Knott and Calva had all but gone, and so it was to be a gentle stroll back along the Cumbria Way. First I dropped down to the footbridge over the Caldew, crossed onto the road and headed west. Autumnal colours crowded in on me from both sides as my feet left the tarmac and joined the track that leads inexorably to the hostel. Ahead the building picked out by its backdrop of tall trees and the occasional lighter patch in the sky. At several points shafts of sunlight pierced the overcast sky and lit the hostel directly, but never when I was in a decent position for a picture. I made good time to the hostel and found myself killing a bit of time outside until I could check in. Marie greeted me and on went the kettle. Being the first of the new arrivals, I also got my bed and ablutions sorted pretty quickly and then it was downstairs to enjoy an evening of good company in front of the fire. A party of cycling explorer scouts made up most of the party, and they were surprisingly good value for entertainment and banter. I’d gone to bed a bit early, and so it wasn’t much of a surprise when I found myself lying awake at 5:30. One of my room mates got up and when he didn’t come back I followed his example, fumbling around in the dark to gather my stuff. A swift breakfast and I was on my way for 7:45, another early start that coupled with the better than expected pace of yesterday gave a lot of confidence that I’d complete today’s walk comfortably with time to spare. 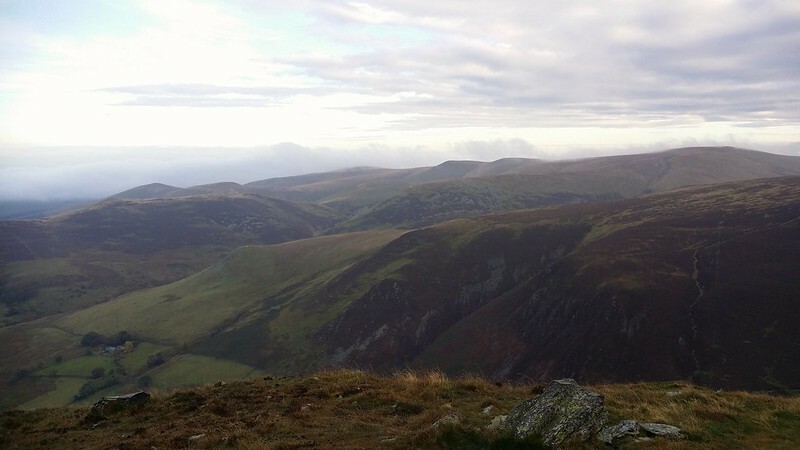 I ambled along towards Dash Falls and the start of the day’s climb up on to Bakestall, reaching the summit soon after 9am and spending a few moments looking north over Great Calva and the rest of the northern fells. 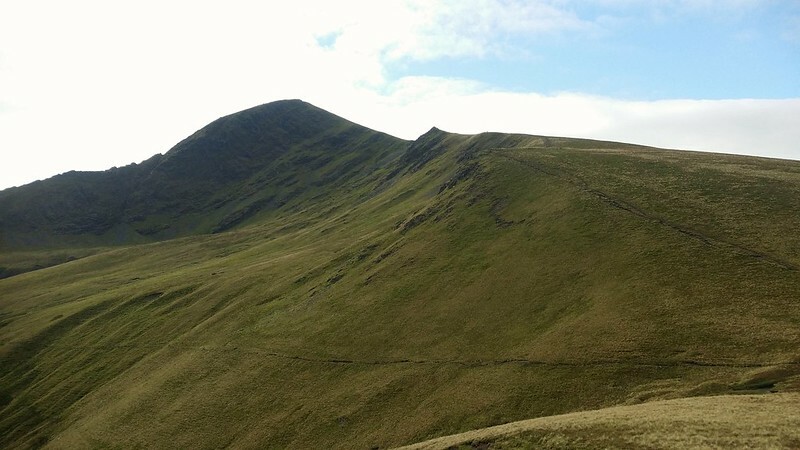 Another bunch of fells I’ll soon be revisiting in my quest to bag them all on Social Hiking. Not too long though as the wind was a lot stronger today and consequently much colder. 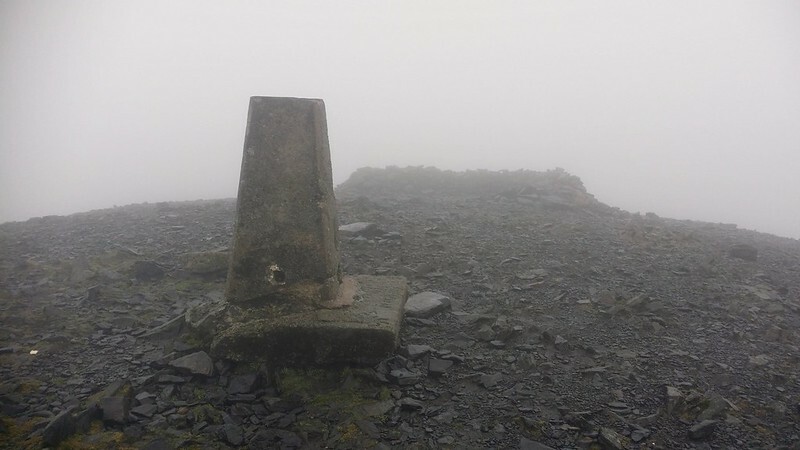 So I carried on up onto Skiddaw where there was very little to see indeed. But that’s been pretty standard every time I’ve been on Skiddaw. 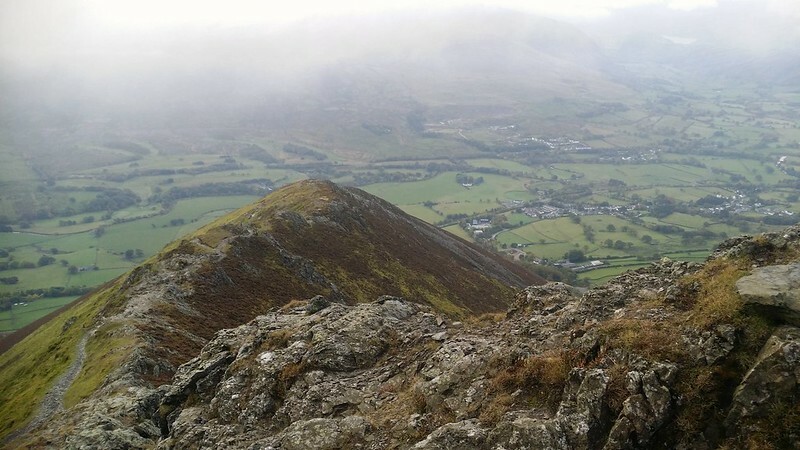 I’d topped out for the day and it was only 10am, but I still had my main objective to come – Skiddaw Little Man. A single visit with my brother back in October 2005 made this not only one of my list that I needed to revisit solo, but also the fell with the longest time before a revisit. Not that today was an ideal day for it. Little Man was also in the cloud and I didn’t linger. Soon though I dropped below the cloud base and everything opened out, my way ahead shown by a fence. 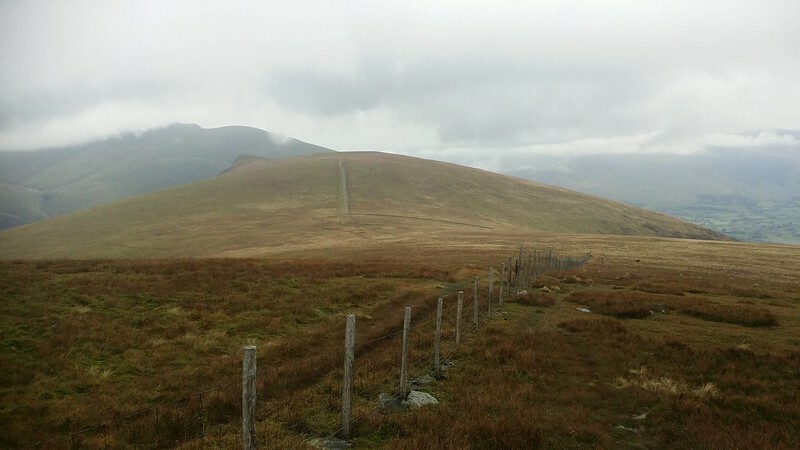 I followed the fence over Jenkin Hill, which I think was the first time I’ve properly bagged this hill, and continued onto Lonscale Fell. With time on my hands, I headed further to the East Top and a look down at the east ridge as a recce for a future route up. 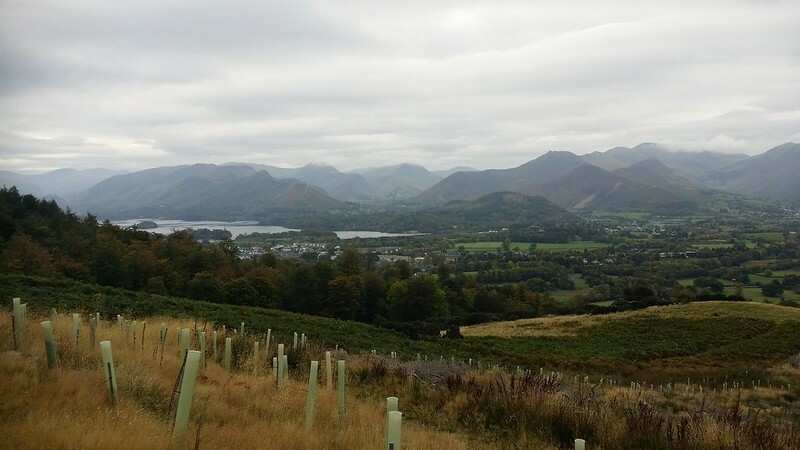 Time was still in my favour, but the lure of the pub and a possible early train dragged me down the main path to Keswick, and I didn’t even feel the need to pop onto Latrigg today. Soon I was in the Golden Lion watching the rugby and putting away a well-earned roast dinner. 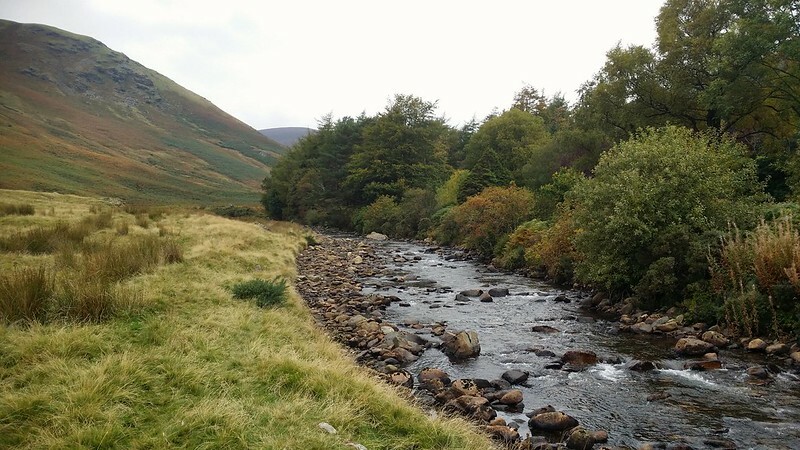 I mentioned in the aftermath of completing the Wainwrights earlier this year, that I was going to take some time before deciding what the next project would be. The absence of a few months has helped make this decision. At first I thought I’d simply switch my attention to Wales, long overdue for another visit and work my way through the remaining Nuttalls there. But the desire to do that hasn’t been strong enough and the pull of the Lakes (as well as Dartmoor) has pushed this into the background. So in parallel with gradually working my way through Dartmoor’s tors and rocks, I’m going to be embarking on a Grand Mop-Up project in the Lakes – revisiting solo all those fells I’ve only been accompanied on (just 5 now after this trip); revisiting all those I did before I started using Social Hiking (110 left), and picking off a few oddments that will see me complete the Fellrangers and the remaining Nuttalls in the Lakes. While I’m doing that I’m also going to try to visit all of the major tarns I haven’t been to yet (that’s about 20). Cheers – taken on a mobile phone too!